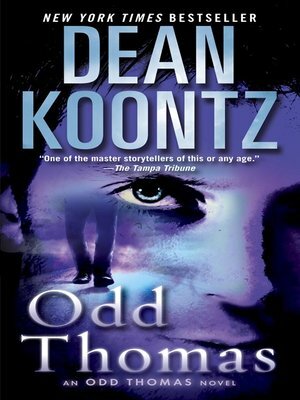 Meet Odd Thomas, the unassuming young hero of Dean Koontz's dazzling New York Times bestseller, a gallant sentinel at the crossroads of life and death who offers up his heart in these pages and will forever capture yours. "The dead don't talk. I don't know why." But they do try to communicate, with a short-order cook in a small desert town serving as their reluctant confidant. Sometimes the silent souls who seek out Odd want justice. Occasionally their otherworldly tips help him prevent a crime. But this time it's different. A stranger comes to Pico Mundo, accompanied by a horde of hyena-like shades who herald an imminent catastrophe. Aided by his soul mate, Stormy Llewellyn, and an unlikely community of allies that includes the King of Rock 'n' Roll, Odd will race against time to thwart the gathering evil. His account of these shattering hours, in which past and present, fate and destiny, converge, is a testament by which to live—an unforgettable fable for our time destined to rank among Dean Koontz's most enduring works. Dean Koontz, the author of many #1 New York Times bestsellers, lives in Southern California with his wife, Gerda, their golden retriever, Anna, and the enduring spirit of their golden, Trixie.